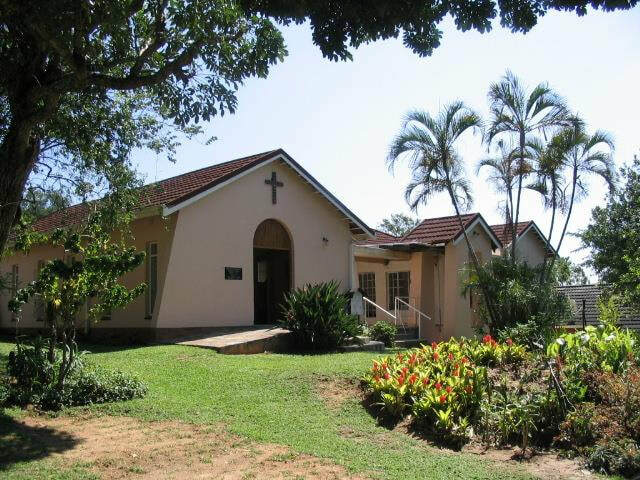 In the years 1952-1954 Pastor Herrmann came once a month with the train from Johannesburg, normally Sunday evenings, to hold a service initially in the Anglican Church. Missionary Eberhard, from Lydenburg, also helped with the services. Church Days were held on the farms of the Knoop, Plath and Thiede families. Later, when Pastor Kauffenstein came once a month, services were held in the Methodist Church. Some German families came from Barberton, some were geologists, others helped with the development of the cable-way for the gold mine in the area. German speaking Catholics also attended the services. 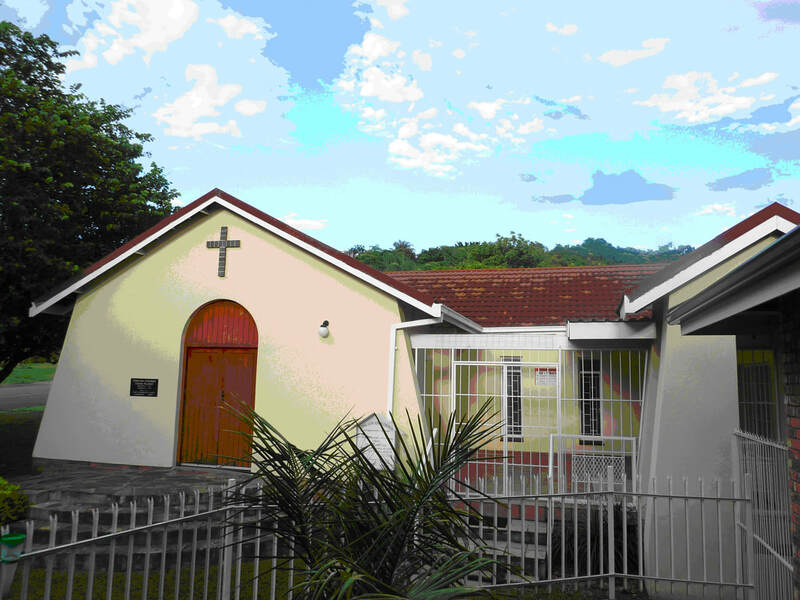 In the 60’s Pastor Böhmer served this Eastern parish (Middelburg/Witbank, Ermelo, Nelspruit, Lydenburg). In the small Nelspruit congregation roughly 13 people celebrated a Sunday service once a month in the small Methodist church. Members came from afar: Sabie, Mariepskop, Barberton, Komatipoort. A second service/month was introduced, but that was too much, partially because of the distances they had to travel and they were used to the one Sunday per month only. So the second service was cancelled again. When Pastor Böhmer went on pension it had become unlikely that a successor would be employed. He suggested that the members should join other congregations in Nelspruit which was rejected. The congregation remained vacant for some time. Then Pastor Kauffenstein served the parish in addition to his work in Pretoria. He visited all the old members with the result that the service attendance increased to 40 people until some disagreements split the congregation, with the result that many left again. Only the old loyal 13 remained, who continued to visit the Sunday services. Pastor Kauffenstein served only for a short while and was succeeded by Pastor Ernie Schärf. Pastor Schärf noticed very quickly that the existence of the congregation was too dependant on the availability of a pastor. One day he invited all council members of the Eastern parish with their spouses to a weekend at the Winkler hotel, near White River. Unexpectedly they were all trained to become lay-preachers. Further training followed in Badplaas. Liturgy, sermons and the whole service were discussed. A last course was held in Roodeplaat near Krugersdorp where all participants received a certificate from Präses Wernecke and were inducted in their office as lay-preachers. Since then no service had to be cancelled due to the Pastor not being able to come. The Methodist congregation became too big for their small little church building so they erected a huge new church. Our congregation moved with them into the new church which, however, became very frustrating, as it was very depressing to have 13 people sitting spread in a huge building. So Pastor Schärf suggested to build our own church including an adjacent little flatlet for the Pastor’s accommodation when he would travel to Nelspruit. Not all members in the council agreed to this proposal, however, the majority then decided to build. Now a suitable property had to be found and people willing to do the fundraising. Small bazaars in the city were held. This endeavour was not easy but it bound the congregation together. The corner stone could be laid on 11.12.1977 and the induction was on 26.3.1978. In the year 2006 the congregation built its own parsonage on the church premises,which could be dedicated on the 4.2.2007. After Pastor Schärf the following pastors served this congregation: F. Graz; R. Schlüter; H. Meyberg; J. Burfeind; P. Arendt and D. Lilje. Today the congregation has 80 members. Challenges: To address and invite people who are not already members in other congregations/denominations, to witness to the unconditional acceptance of Christ. To contribute towards the protection of our environment that is entrusted to us. To provide a spiritual home for Afrikaans speaking people also.